Also check out the index of the book 4 pictures (3 cars) found: year of "1977", exterior view, exterior color of "Bright Aqua Glow"
(from page 3 of the 1977 Collection) Bright Aqua Glow Blue 1977 Mustang Ghia coupe with the Ghia half vinyl roof, bumper guards, side molding, sun roof, fog lamps, and wire wheel covers. This car is available in 800x600 pixel wallpaper, 1024x768 pixel wallpaper, and 1280x960 pixel wallpaper. 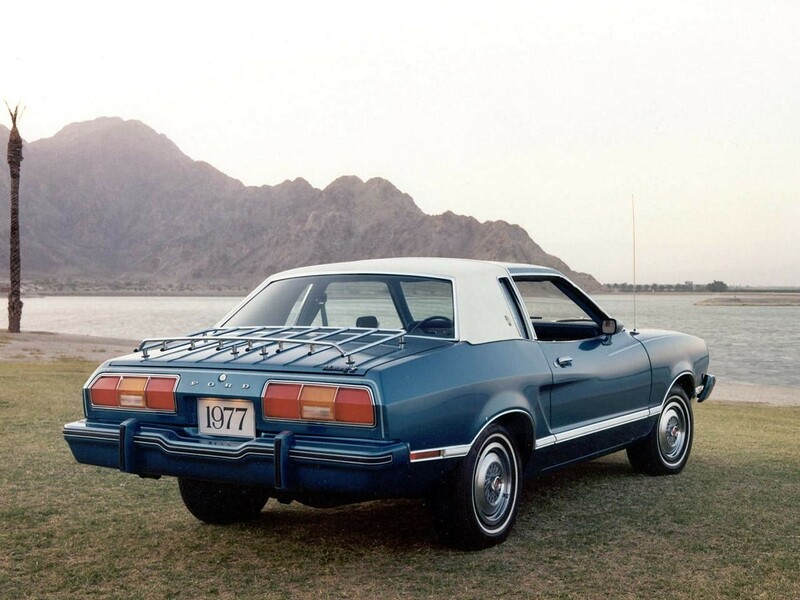 (from page 3 of the 1977 Collection) Rear right view of a Bright Aqua Glow Blue 1977 Mustang Ghia coupe showing the half vinyl roof and luggage rack. This car is available in 800x600 pixel wallpaper, 1024x768 pixel wallpaper, and 1280x960 pixel wallpaper. (from page 11 of the 1977 Collection) Page 7 of the 1977 Ford Mustang II promotional booklet shows a Bright Aqua Glow 1997 Mustang Ghia coupe with text describing all the standard Ghia options. 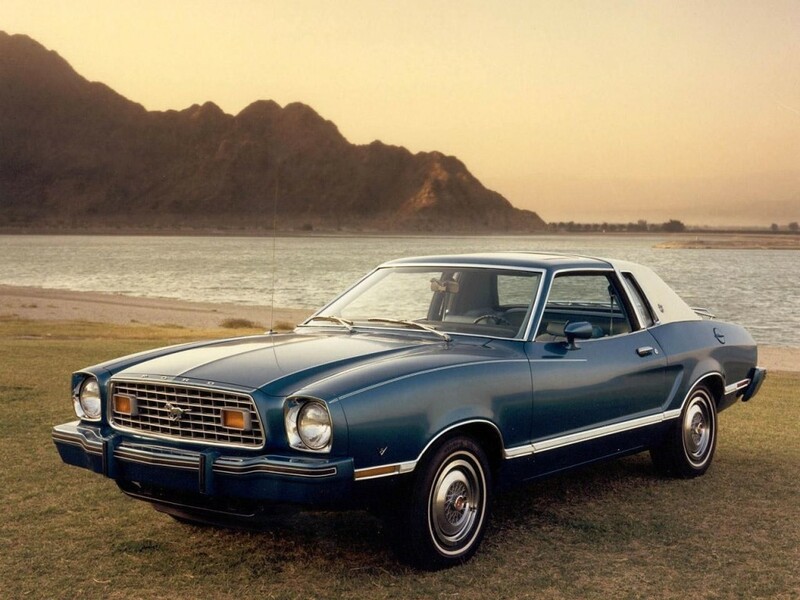 (from page 11 of the 1977 Collection) More information on the luxury optioned Ghia Mustang coupe is shown on this page of the 1977 Ford Mustang promotional brochure.